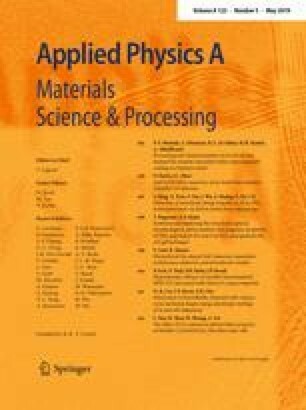 Boron-incorporated ultrananocrystalline diamond/hydrogenated amorphous carbon composite (UNCD/a-C:H) films were deposited by coaxial arc plasma deposition with boron-blended graphite targets. The effects of boron incorporation on the electrical properties of the films were investigated by hard X-ray photoelectron spectroscopy. Their electrical conductivity increased from 10−7 to 10−1 Ω−1 cm−1 with increasing boron content up to 5 at.%. From the temperature dependence of electrical conductivity, hopping conduction due to localized states produced by boron atoms is predominant in carrier transport. X-ray photoelectron spectra showed the shifts of Fermi levels toward the top of the valence band with increasing boron content. It implies that boron atoms in the films lead to form localized states, which results in enhanced electrical conductivity. This work was supported by JSPS Grant-in-Aid for Special Purposes Grant Number 25. The synchrotron radiation experiments were performed at the BL47XU of SPring-8 with the approval of the Japan Synchrotron Radiation Research Institute (JASRI) (Proposal No. 2014B1714). This work was partially supported by JSPS KAKENHI Grant Number JP13J07294, JP15H04127, and JP16K18238.